In the beginning, iBuildApp was created to offer a way for small businesses to design beautiful mobile apps, without the need for an expensive development degree. It Can Help You Market Your Small Business now. It's been awhile since the inception of iBuildApp, so now it's time to look back at the incredible amount of features you can use when designing your app with the iBuildApp system. From having the ability to reach customers 24/7 to boosting revenues by creating a fluid contact medium, a mobile app has plenty of benefits to Market Your Small Business. Still not convinced? Keep reading to learn about 12 of the ways iBuildApp can help you market your small business. If you're already a customer, take this opportunity to read through the list to see if you're missing out on any of the marketing features that can boost your revenues. 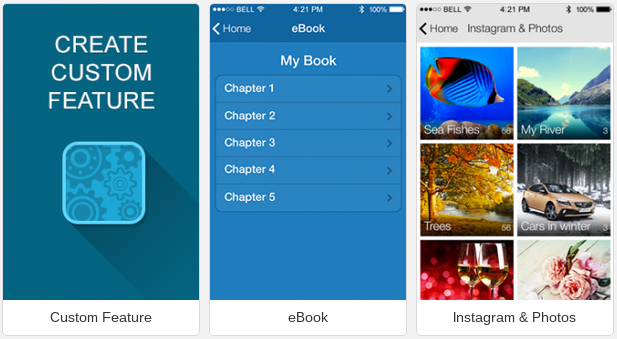 The first one is an easy one, since iBuildApp is primarily designed for this purpose. However, a well-built mobile app could be the difference between someone paying your company for services or products and turning to find another competitors. Since iBuildApp has so many professionally designed templates, and easy admin tools, you don't have to worry about whether or not your app looks like it's from the 90s, because it's all handled for you. Each of the features are rigorously tested, and the templates are already formatted for you to simply punch in your information and start sharing your mobile presence. Whether you're a writer, photographer or runway model, you need a portfolio to show off your prowess. That's why you have the option to choose a feature that showcases what you have to offer. For example, a photography studio can feed all of its Instagram photos into the mobile app, allowing clients to quickly scan through the portfolio and decide if they want to hire you or not. Think about how easy it is to standout from the competition when your mobile app is sitting right on people's phones. One of the easiest ways to market your small business with a mobile app is to provide a quick contact button for customers to keep in touch with you. 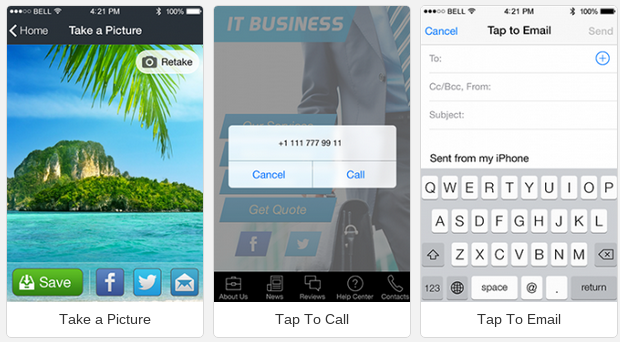 For example, the Tap to Call feature is a one step option for your customers, and the Tap to Email module ensures that no one is searching around to send you a simple message. Many small businesses thrive on how many reservations they can bring in. A restaurant needs to fill tables just as much as a mechanic needs to bring in more cars to fix. 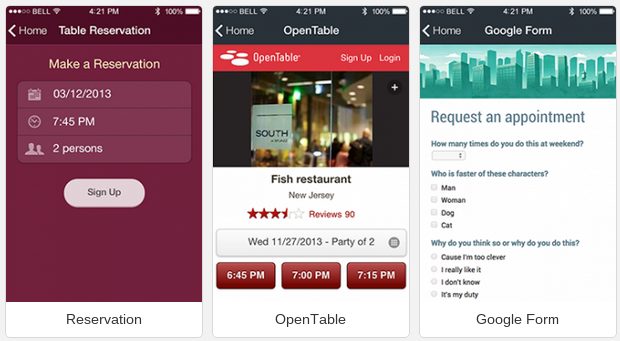 The iBuildApp platform has you covered, since a Google Form, Reservation or OpenTable page on your app is the easiest way to cut down on the amount of time you spend on the phone. Instead, let the app collect the reservations for you, and only check in when a serious customer contacts you. The push notification is truly an ideal method for putting your promotions directly into customer pockets. Add a quick line about why people should come through your doors, and send it out to anyone who may be interested. The best part is that you can set a geographical zone that only sends out notifications when someone walks within that zone. 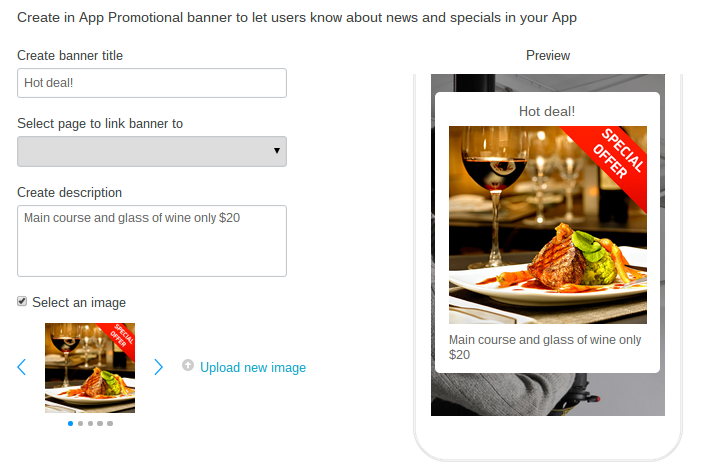 promotional banner is similar to a coupon in that customers can bring them in to show that they have already received a push notification. Not only is this a great way to visually connect with your customers, but it integrates perfectly with push notifications. 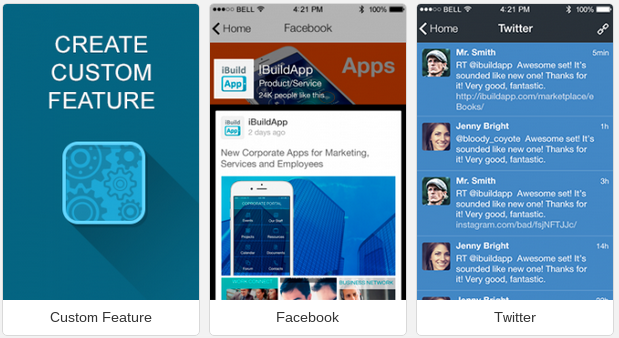 From Twitter feeds to fan walls, the opportunities to expand your reach on social media are endless with iBuildApp. 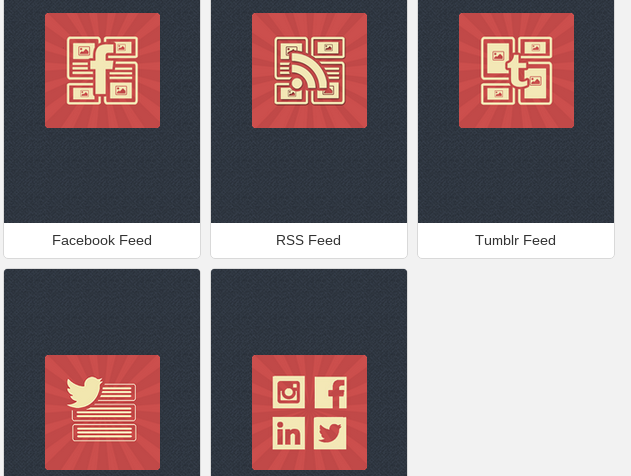 In addition, the POWr integration offers social media buttons, Flickr feeds and Instagram feeds. The final way iBuildApp helps with marketing your small business is by offering a new distribution outlets for your blog and news feeds. Some of the people who download your app may not follow your blog, so it's important to include this information through the mobile app for discovery. Now that you've had a chance to understand how iBuildApp can help you market your small business, let us know in the comments section below what your favorite iBuildApp feature is. Why?